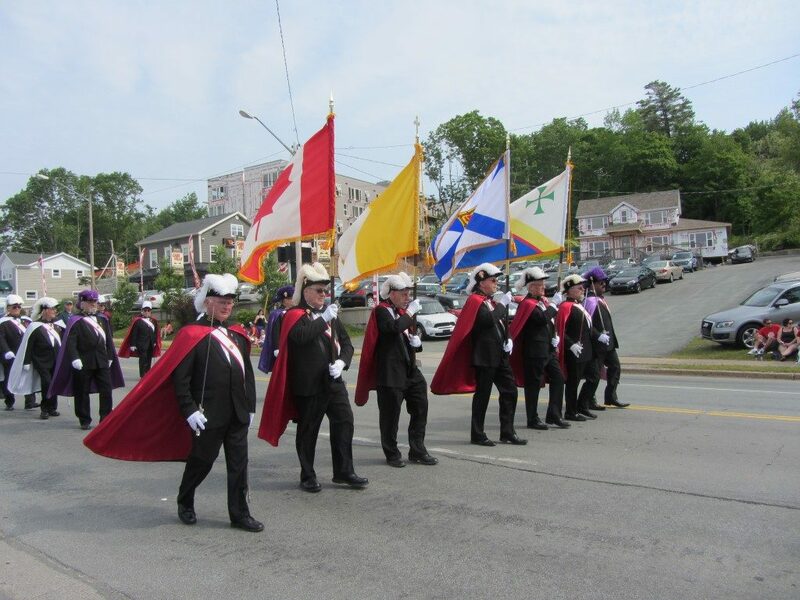 Another degree open to members in the Knights of Columbus is the Fourth Degree. The first exemplification of that degree was held in New York City, on February 22, 1900. The ritual added patriotism to the three principles of the Order: charity, unity and fraternity. Any Third Degree member in good standing, one year after the anniversary of his First Degree, is eligible for membership in the Fourth Degree. The primary purpose of the Fourth Degree is to foster the spirit of patriotism by promoting responsible citizenship and a love of and loyalty to the Knights’ respective countries through active membership in local Fourth Degree groups (called “Assemblies”). Fourth Degree members must retain their membership as Third Degree members in their locals council to remain in good standing. 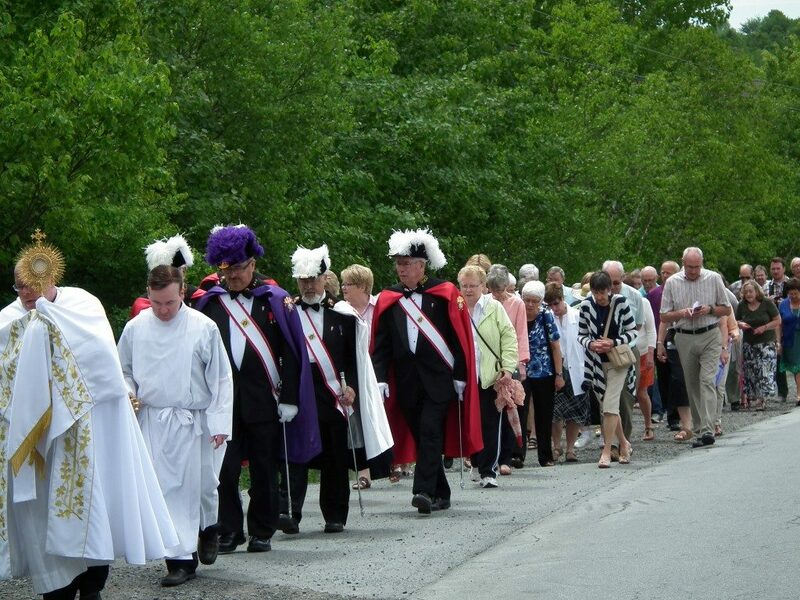 Our local Assembly is named the Archbishop J. G. Berry Assembly 2519 and is located in Lower Sackville, N.S. Membership in our Assembly comes from councils located in the Sackville area. The Bishop Joseph Gerald Berry was appointed the Archbishop of the Diocese of Halifax on 28 Nov 1953 and deceased on the 12 May 1967. Archbishop J.G. Berry Assembly Honour Guard, Lr. Sackville, N.S. 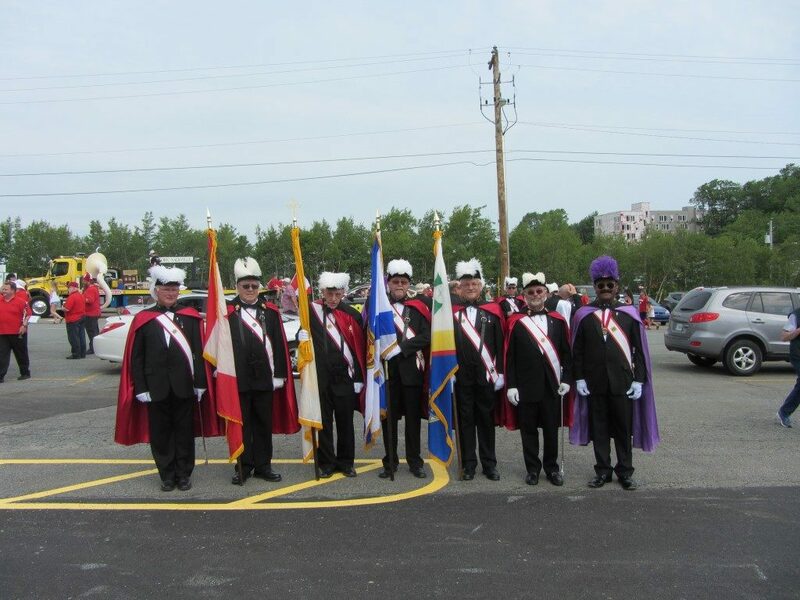 Certain members of the Fourth Degree serve as honour guards at civic and religious functions, an activity that has brought worldwide recognition to the Knights of Columbus. To the left is pictured the Fourth Degree Emblem. Bearers of this emblem are committed to conduct themselves honorably as Christian gentlemen in their private and public lives, as well as acting patriotically for the good of their nations. Likewise, the Fourth Degree sword represents the bearer’s reverence for the Eucharist and the Pope, bishops and hierarchy of the Church, and displays publicly his willingness to protect his Church and priests. Considered under a religious aspect, we have the honour and privilege of wearing on our swords and our lapels the sacred symbol of the Most Blessed Trinity. This should always remind us to live a good Christian life, and that we should never bring dishonour on the emblem we have been privileged to wear. By this, others may see our good works, through which we will glorify our Holy Religion, our Honoured Order and our Beloved Country.